Are you looking for a way to update your home? Do you want to add charm and appeal that never goes out of style? Our flooring center in Sugar Land, TX, houses a variety of hardwood flooring that will look great in any home. Regardless of your decorative style, you’re sure to find wood flooring that is within your budget and matches your design tastes at our flooring store. Rely on our flooring specialists to help you select beautiful, durable wood floors that suit any design and décor. With so many options, selecting the type of wood you want for your hardwood flooring installation can seem overwhelming. Allow our knowledgeable and friendly associate help you determine which type of hardwood floor functions best in your space. Our specialists guide you through the various types of floor we have in our showroom and explain the benefits of each one. For those who enjoy the cozy look of country living, we have rustic, hardwood flooring that’s sure to be to your liking. For those who prefer a more elegant, formal aesthetic look, our professionals can direct you towards a more contemporary style of hardwood. No matter what style you’re going for, we are able to help you find it. From classic, cherry hardwood flooring to the rustic look of oak hardwood flooring, there is a hardwood floor to satisfy everyone at our store. One of the reasons hardwood floors have remained so popular over the years is due to their timeless appeal. While other flooring patterns and material go in and out of style, wood has remained a fixture in the homes of many people across decades. When selecting hardwood, there are 4 styles to consider: strip, plank, hardscraped, and wire brushed. Each offers a different thickness and conveys a distinctive charm that complements any room in your home. In addition, variations that occur in hardwood flooring make it an especially appealing type of surface for those who appreciate the unique patterns Mother Nature weaves throughout each piece. The beauty of hardwood is that each strip or square is a one-of-a-kind masterpiece. When installed, each piece forms a fluid whole, capturing the attention of every visitor. Whether you opt for solid or engineered hardwood floors, you receive a gorgeous work of art that instantly improves the value of your home. With our affordable flooring prices, it’s easy to invest in elegant hardwood that lasts for years. Don’t take chances when it comes to your hardwood floor installation. 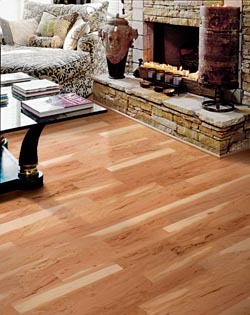 A home is an investment and new floors not only add new life to your space, they also increase the value of your home. A poorly done installation wastes your time and sets you back financially. Our installation experts have the training, knowledge, and experience to see that your installation is done efficiently and effectively. We take the necessary time to ensure the job is done right the first time. We aim to install your floors as quickly and as a safely as possible. Having strangers in your home can feel like an intrusion, which is why our installers are courteous and friendly. Great care is taken to ensure your belongings and valuables are not damaged during the installation process. Count on us to perform in an installation that lives up to your expectations. Contact us to view our selection of hardwood floors. We proudly serve the customers of Sugar Land, Missouri City, Stafford, Fort Bend, and Sienna Plantation, Texas, as well as the surrounding areas.